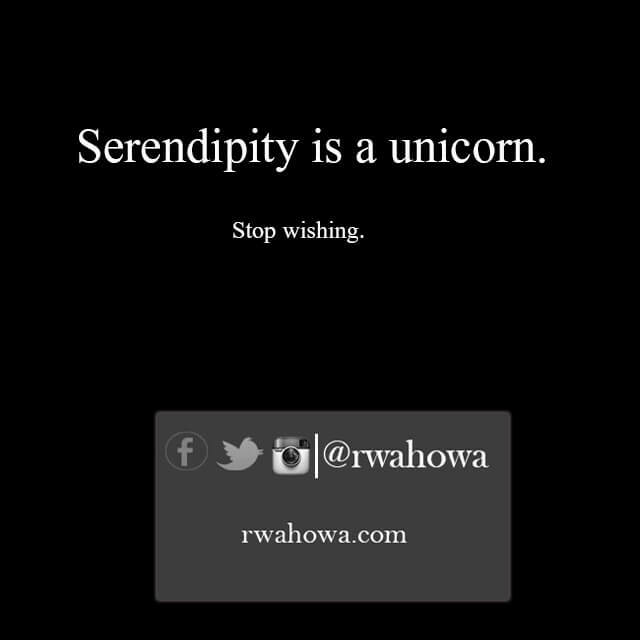 Home › Quotes › 30 Serendipity is a unicorn. 30 Serendipity is a unicorn. Serendipity is a unicorn. Stop wishing. ← 29 Life gets easier when you accept the things you cannot change.